With some 4.5 million people living in an area of just 3,800 square miles on the eastern Mediterranean coast, Lebanon is small and densely populated. Despite its location in one of the world’s most unsettled regions, the country has been spared the worst of the political and economic woes besetting some of its neighbors. Lebanon’s geographical position and relatively peaceful climate have made it a destination for more than 1 million Syrian refugees. As of June 2016, almost 1.1 million Syrians have registered with UNHCR, recording the world’s highest per capita concentration of refugees compared to its population. The massive influx of refugees not only increased Lebanon’s population by about 25 percent, but also placed significant strain on existing government resources and host communities. Almost all of Lebanon’s municipalities now host Syrian refugees. While food is readily available for purchase in Lebanon, many refugees have exhausted their savings. Paid work is scarce across the country, making it hard to earn an income. WFP re-established a presence in Lebanon in 2012 after having left in 1997. 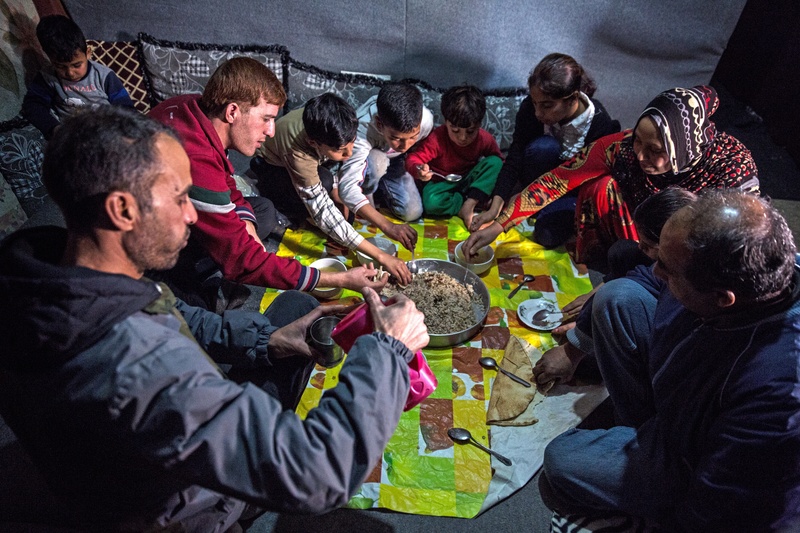 That year, following an official request from the Government, WFP began to respond to the Syria crisis when thousands of Syrian families began fleeing to Lebanon. Under this Regional Emergency Operation, WFP provides food assistance to vulnerable Syrian refugees and Lebanese families through e-cards, as well as cash, food vouchers or e-cards to Palestinian refugees from Syria. Each month, UNHCR-registered Syrian refugees receive individual rations, which can be exchanged for food of their choice in any of the 410 WFP-contracted shops across the country. E-cards were adopted as the primary mode of assistance in Lebanon as local markets are capable of providing sufficient food for the host and refugee populations alike, eliminating the need to import large food quantities. Additionally, they enable families to choose their preferred foods, allowing them to meet their consumption and nutritional needs effectively. WFP is also working closely with FAO and other partners to explore resilience and livelihood assistance to vulnerable host communities to help ease some of the strain. The UN agency is seeking to move to resilience-based interventions beyond 2015, as well as greater cost efficiency and effectiveness through refined targeting to reach the most vulnerable registered Syrian refugees.